Ordster's Random Thoughts: New comic/sketchbook available for order now. New comic/sketchbook available for order now. There's a 10 page lead story featuring a creation of mine called "Proton" that has been gestating for an awful long time! I first published the character in my fanzine "Okay Comix" in the early 1970's, and wrote and drew another chapter in 1978 that remains unpublished. In the years since, I have refined and re-thought the concept, almost drawing it for Image in the 1990's. Now, I am committed to finally getting it launched, though in smaller increments, as I still need to pay the bills by drawing custom art for fans. Speaking of custom art, the remainder of the issue is filled with the many custom commissions I drew in 2013! I often post the digital images on Twitter or Facebook, but they're printed in "The Messenger" #23 for the first time anywhere! Using the button below, you may order a single copy for $5.00 plus $5.00 shipping. I priced the comic to be competitive, but I can't control the shipping costs, sorry! But it's a great bargain for under ten dollars. (US and Canada only) Foreign buyers need to message me for shipping rates. I'd like to inquire about shipping rates to the U.K. I just placed an order, but I would be interested in knowing if you would sign the book? I'd love to buy a copy, what would shipping cost to Niagara Falls Canada? 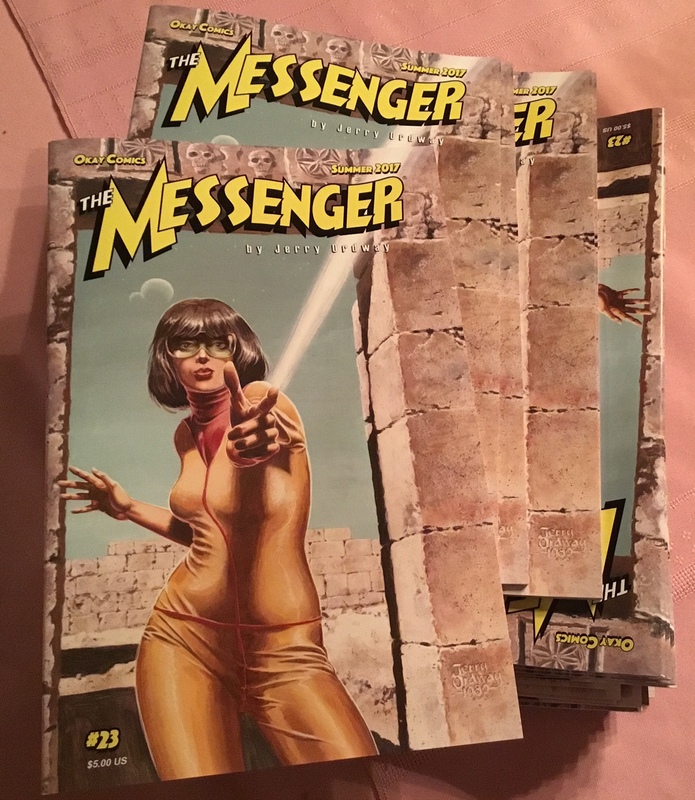 Dear Mr Ordway, how much would shipping be for The Messenger #23 to the UK? Hi, it looks great! Please let me know what would be the cost for shipping to Rome, Italy. Ordered! Looking forward to reading it! And, hey, if you feel like signing it, Bibbo would approve!